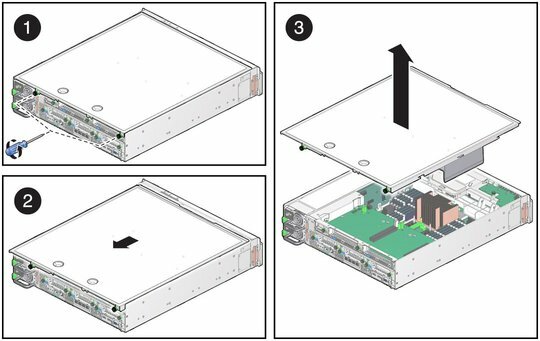 See Removing Power From the Server. Remove the power cords from the server. Disconnect all cables from the rear of the server. Label the cables for ease of reconnection. 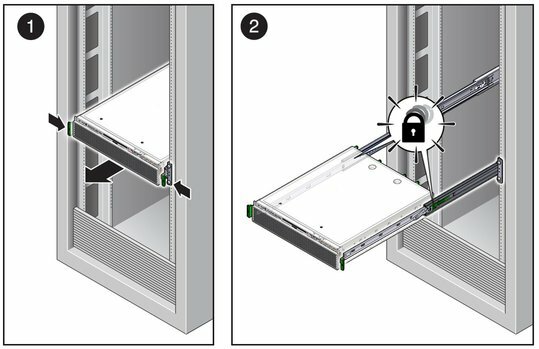 Release the latches at the front of the server and slide the server out of the rack to its service position. Loosen the two captive screws at the rear of the top cover and slide the cover back and off the chassis.